FOOTBALL: United Park Eagles coach Scott Bretag has a simple message for those clubs that want to underestimate his side. Do so at your own peril. The Eagles face last year's premiers in the opening round of the Wide Bay Premier League at Martens Oval. It will be an interesting match for Bretag, who will face the team of which he was a part for the past three seasons. He said the side would be underdogs but take solace in their pre-season form, which included a 6-1 win against the Wide Bay Buccaneers last week in the FFA Cup. "They are an absolute superstar team (Bingera),” Bretag said. "Probably one of the frontrunning favourites. The Eagles have added a few players in the off-season with some coming over from Bargara after the Reds opted not to field a WBPL side. 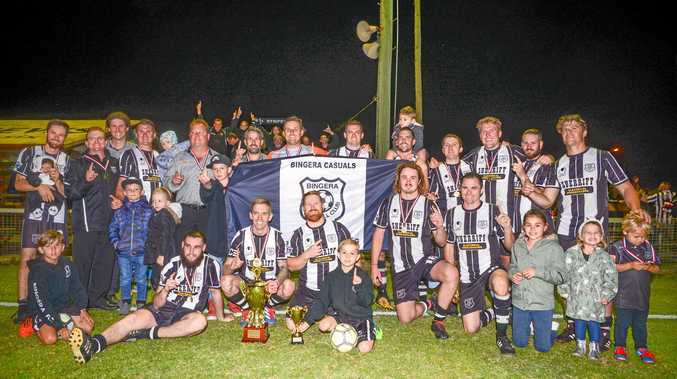 Bingera comes into the game with a week's rest after beating Diggers 7-1 in the Triple M division 1 cup two Saturdays ago. The game starts at 6pm.